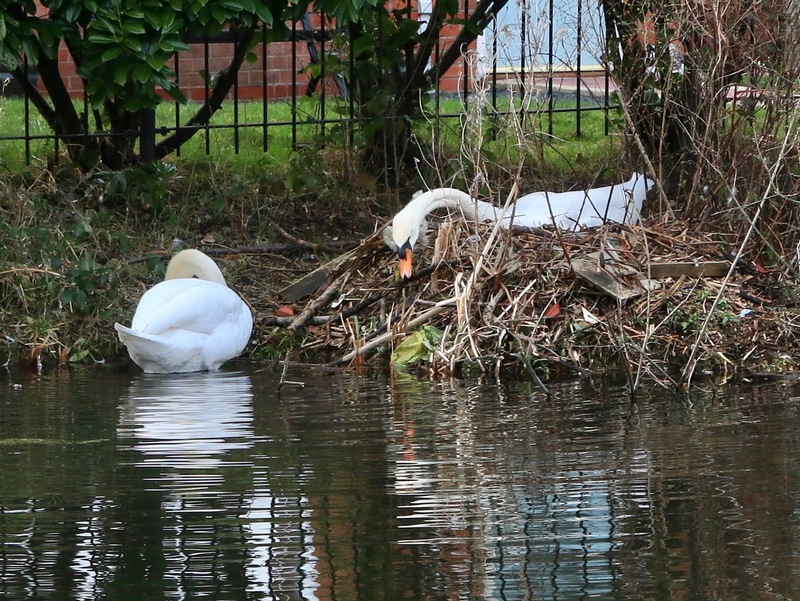 March 23rd – On a short late afternoon ride out on a cold, windy afternoon, I noticed the Watermead swan couple were making preparations for another family, just by the canal basin and houses around the canal bend from the canoe centre. These two birds have raised many cygnets to maturity in recent years and it’s good to see them back. However, the mail is somewhat formidable and canoeists, kayakers, passing dogs and waterfowl will need to be careful: This lad protects his family aggressively.